It's a big win for Yahoo, but won't really hurt Google. After years of cosying up with its biggest competitor, Mozilla has dumped Google in favour of Yahoo as the default search engine on its Firefox browser in the US. Most European countries won't see a change, while Russian Firefox users will get Yandex and Chinese Baidu as their default (although everyone can change it if they want). Mozilla currently gets around 90% of its revenues from Google, which reportedly pays it $300m (£191m) a year under the most recent three-year old agreement. But it was also reliant on its biggest competitor: Google’s Chrome browser overtook it in 2012 and now has 60.4% of the market worldwide, compared to Firefox’s 23.4% and Internet Explorer on 9.5%, according to W3Schools. The five-year deal ‘is the most significant partnership for Yahoo in five years’, chief exec Marissa Mayer - a former Google big cheese - said in a blog post replete with such catchy buzzwords as ‘forward-leaning’ and ‘interactive’. 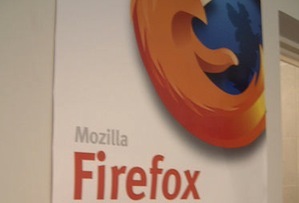 ‘Our primary consideration was to ensure our strategy aligned with our values of choice and independence,’ Mozilla chief executive Chris Beard said in his own post, pointing out Firefox users search the internet more than 100 billion times a year. That may sound like a lot, but there are 3.5 billion Google searches a day and 1.2 trillion a year worldwide. It has around 67% of the US search market, whereas Microsoft Bing has some 20% and Yahoo just 10%, according to researchers comScore. That makes it a relatively important boost for Yahoo and Mayer, who has been under pressure to turn around the ailing internet giant, but barely more than a scratch in Google’s armour.